Oct 21 2014 MoD announces that British drones will begin surveillance operations inside Syria Despite the barring of operation in Syria, one month after the vote the MoD quietly announces British drones will cross the Iraqi border and enter Syria. A response to a Freedom of Information (FoI) from Drone Wars UK later revealsthat all UK Reapers entering Syria are in fact armed. Early summer 2015 US intelligence agencies and Special Forces launch drone targeted killing program within SyriaSeparate from US bombing campaign, US intelligence agencies in conjunction with Joint Special Operations Command (JSOC) initiate a targeted killing campaign aimed at ISIS leaders. May 2015 The British National Security Council (NSC) gives general approval for targeted killing operations against a number of UK citizensThe Times reports that a NSC meeting in May gave overall approval for the targeted killing operations. In his evidence to the parliamentary Human Rights Committee Michael Fallon stated that the NSC gave overall approval, while he later authorised the specific operations. Jun 26 2015 The Sousse Beach massacre In a week-long series of terror attacks in Syria, Tunisia, Kuwait and France, 30 of 38 people killed in the terrorist attack on a Tunisian beach are British. The attacker, Seifeddine Rezgui, is linked to the Ansar al-Sharia group in Libya. Jun 26 2015 The Sun publishes communication between Junaid Hussain and an undercover reporterThe Sun reports that in a sting operation, a Syrian-based British ISIS member Junaid Hussain instructed one of its reporters working undercover in bomb making and urged him to attack an Armed Forces Day parade. Jul 2 2015 First apparent US drone targeted killing of senior ISIS figure in Syria under new US programUS drones target and kill ISIS leader Tariq bin Tahar al-‘Awni al-Harz. 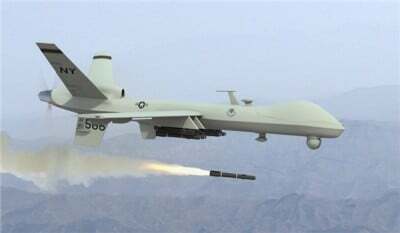 July 4, 2015 Briton Abu Rahin Aziz killed in US drone strike near RaqqaAbu Rahin Aziz, known as Abu Abdullah al-Britani, killed in US drone strike in Syria. Subsequent to Khan killing, Guardian Journalist Alice Ross writes Aziz may have been on the UK kill list but targeted by a US drone. July 7, 2015 US drone strike targets British hacker Reyaad Khan.A US drone targets 21-year old Cardiff born Reyaad Khan near Raqqa. Initially he is reported killed but it subsequently transpires that he was wounded and hospitalised. Aug 21 2015 British drone strike on Reyaad Khan – First British drone strike on UK citizenAlthough only Khan was specifically targeted in the strike, killed alongside him was another British man, Ruhul Amin, and a Belgian, Abu Ayman al-Belgiki. The Times reports that British and US intelligence monitored Khan as he was treated in a hospital following the attack on July 7 (above), and ‘on his release the opportunity arose for the RAF Reaper drone to strike’. Separately the paperreports senior military officer insisted lawyers were present during the operation as there was “significant concern” over the legality of conducting a “kill mission” against British members of ISIS in a country with which the UK was not at war. Aug 24 2015 US strike in co-ordination with UK on Junaid Hussain Ten days after being wounded in a targeted drone strike, Junaid Hussain is also targeted again and this time killed in a US strike in conjunction with the UK. Sep 7, 2015 David Cameron makes a statement in House of Commons on the drone targeted killings Cameron: “Both Junaid Hussain and Reyaad Khan were British nationals based in Syria and were involved in actively recruiting ISIL sympathisers and seeking to orchestrate specific and barbaric attacks against the west, including directing a number of planned terrorist attacks right here in Britain, such as plots to attack high-profile public commemorations, including those taking place this summer. Oct 29, 2015 Select Committees announce inquiries into the killingsUpon their reconstitution in the new parliament both the Intelligence and Security Committee (ISC) and the Joint Human Rights Committee (JHRC) announce separate inquiries into the drone killings. Nov 9 2015 Reports of disquiet amongst senior RAF officers about the operationsThe Telegraph reports disquiet amongst senior RAF officers about the “the crossing of a Rubicon” as the UK follows the US down the path of a drone targeted killing programme. Dec 2, 2015 House of Commons votes to authorise UK air strikes in SyriaFollowing intense pressure from David Cameron and Michael Fallon, who argued that it was “morally indefensible” for UK not to bomb IS in Syria, MPs vote to extend UK military action into Syria. Feb 19 2016 US targeted strike against Noureddine Chouchane in Libya use UK basesMichael Fallon authorises use of UK bases to launch a US targeted killing strikeagainst Noureddine Chouchane in Libya. May 1 2016 Briton Raphael Hostey reported killed in US drone strikeRaphael Hostey (known as Abu Qaqa al-Britani) reported killed in US drone strike although it is not clear if he was explicitly targeted. May 2016 Joint Human Rights Committee publishes its report into drones and targeted killingAlthough focused on the wider legal issues rather than the specific operations, Parliament’s Human Rights Committee raises important questions about the normalisation of drone targeted killing operations. A government response to the report is expected in the Autumn. When dealing with an issue of such grave importance, taking a life in order to protect lives, the Government should have been crystal clear about the legal basis for this action from the outset. They were not. Between the statements of the Prime Minister, the Permanent Representative to the UN and the Defence Secretary, they were confused and confusing. The problem with having no ‘hard and fast definition’ of imminence means there is a real danger that many acts could be interpreted as being the last moment before an attack could take place and trigger such targeted killing operations. In addition, once someone is identified as a possible or potential threat they could be placed permanently on a kill list to be targeted when possible. A position that is very distant from how the legal community would interpret international law in this area and could lead toserious consequences for those involved in such strikes. On the basis of today’s evidence, the intelligence and security committee will not be able to do a thorough job. The prime minister should reconsider his decision to prevent the ISC from looking at information on the military aspects of the drone strikes. Unless he permits this, the ISC will be incapable of providing reassurance to parliament and the public that the strikes were both necessary and proportionate.